Mumbai: India’s largest company by market value, Reliance Industries Ltd (RIL), and three of its associates plan to raise at least Rs15,000 crore of debt, according to people familiar with the plan, braving a liquidity crunch and the reluctance of banks to lend despite moves by the central bank to ease credit and lower borrowing costs. RIL, controlled by Mukesh Ambani, alone is raising Rs10,000 crore through nonconvertible debentures, which are securities that cannot be converted into equity shares of the issuing company, said the people who didn’t want to be identified. Reliance Gas Transportation Infrastructure Ltd (RGTIL) has enhanced its letter of credit from $172.7 million to $212.7 million. RGTIL is building and will operate the 1,386km cross-country East West Gas Pipeline (EWPL) that will connect gas production centres on the east coast of India with markets on the west coast. A letter of credit, used primarily in trade finance, is a bank promise that is used to guarantee payments. The fund-raising plan comes at a time when the economy is battling a credit crunch ensuing from the global financial turmoil that deepened with the mid-September collapse of Wall Street investment bank Lehman Brothers Holdings Inc. Rate cuts by the central bank and reductions in the level of reserves commercial banks are required to hold haven’t eased credit. An analyst at a foreign investment bank who tracks RIL said he was not sure why the group is raising the debt, and whether it is for new projects or for repaying existing debt. But he said a Reliance official had explained the effort as a move to “raise cash, just to be on the safe side". The analyst did not want to be identified because he is not authorized to speak to the media. RIL did not respond to an email sent by Mint on its fundraising efforts. Crisil Ltd, the leading Indian rating agency, has rated all debt papers issued by the RIL group, including its associates, as AAA/Stable, attributing it to RIL’s excellent financial flexibility and consistently strong cash accruals. 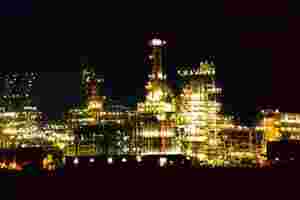 RIL will offset its leveraged capital structure, with a gearing of 0.72 times as on 31 March, the rating agency said. In addition to the Rs15,000 crore debt, RIL also plans to raise up to Rs500 crore through the sale of three-year bonds with a 10% coupon, Reuters reported on Wednesday, quoting people in the banking industry it didn’t name. The issue, which opened on Wednesday and closes on Friday, is rated “AAA" by Crisil and Fitch, said a person familiar with the deal. Edelweiss Capital Ltd is the sole arranger of the issue, which follows a Rs500 crore sale of 10-year bonds at a coupon of 10.75% last week by RIL, Reuters reported. Meanwhile, JPMorgan Chase and Co. said in a statement on Wednesday that it had signed a $400 million financing facility spread over 11 years with RIL. JPMorgan said the funding will support the company’s “various investment projects" in India. The money will be used to finance equipment purchases from 17 US suppliers, the bank said. “In a year marked by tumultuous market conditions, a tight liquidity environment and an increased focus on risk mitigation; this financing facility marks a significant achievement," the bank statement said. The Rs15,000 crore debt raising plan comes after the company’s promoters exercised an option to convert their preferential warrants in late September, injecting at least Rs16,800 crore into the company. A recent research report on RIL titled “Long Winter ahead" by ABN Amro analysts Avadhoot Sabnis and Puneet Gulati pointed to the difference the equity infusion by promoters would make to the net debt of the company. “The net debt as of end-September 2008 was Rs30,000 crore. We expect this to decline with the equity infusion from the exercise of promoter warrants (Rs15,100 crore)," they wrote. RIL’s latest move to raise debt coincides with a decline in margins for both refining and petrochemicals businesses that are likely to dampen its earnings for the third quarter of fiscal ’09. “Petrochemical margins have corrected due to the huge fall in demand on account of the ongoing global slowdown and demand destruction," Niraj Mansingka of Edelweiss Securities wrote in a report dated 24 November. Crisil, however, pointed to the company’s net cash accruals of Rs22,600 crore, which covers 44% of RIL’s net debt, and interest coverage ratio of 22. It will further strengthen early in 2009 when production commences in an oil refinery, and natural gas extraction starts from RIL’s wells in the Krishna-Godavari basin, the rating agency said. RIL has a 13.5% weightage on the Bombay Stock Exchange bellwether equity index Sensex. The company’s shares rose Rs108.65, or 9.7%, to Rs1,227.20 at the close of trading on Wednesday while the Sensex gained 5.37% to 9,654.90.